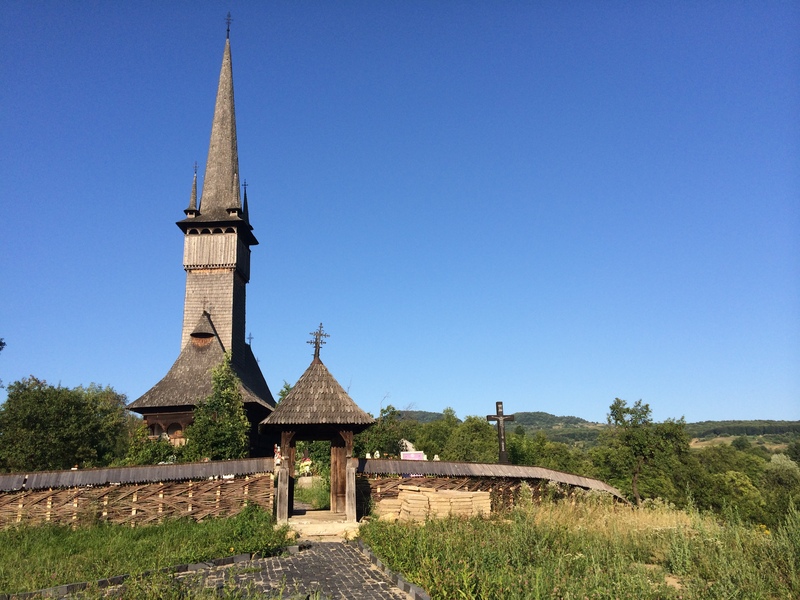 Maramures is without doubt, one of Romania’s most intriguing part. Situated on the northern part of the country, the region is famous for its picturesque views, beautiful mountains, impressive rural culture and heritage. 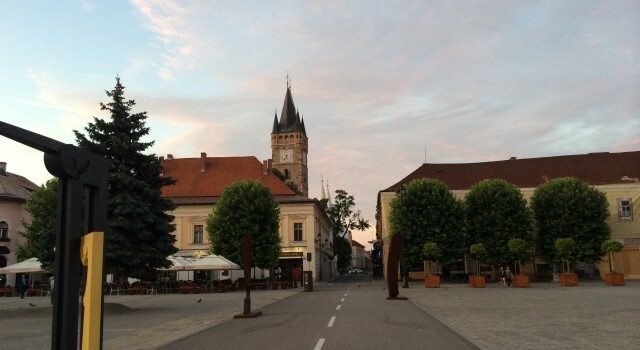 The head of the region is the city called Baia Mare. Other big and important cities are Sighetu Marmatiei and Borsa. 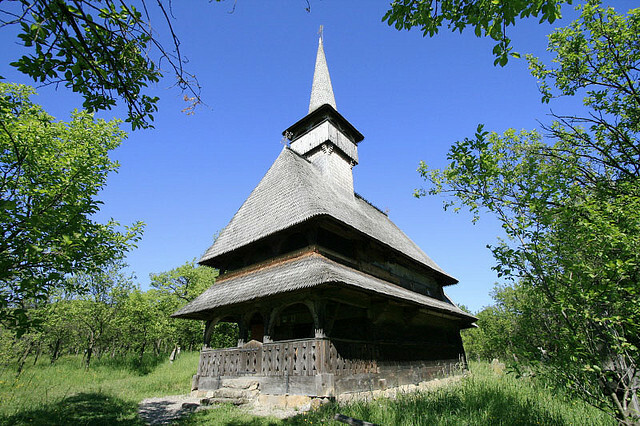 In addition to its beautiful national parks and mountains, Maramures is also famous for its trademark wooden churches, eight of them being recognized as heritage sites by UNESCO. The trip was initially unexpected, since I was in Cluj Napoca with a good friend and we thought that it would be a good idea to visit the medieval town of Sighisoara and also the fortified church and village of Biertan. 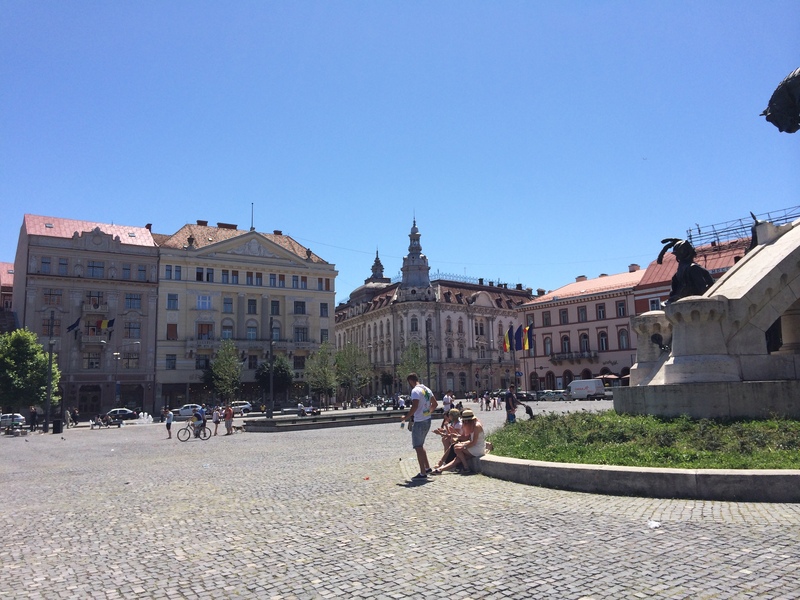 However, a common friend of us from Baia Mare called us to have a good time there, and because I personally never visited that part of the country, the idea sound appealing to both of us. 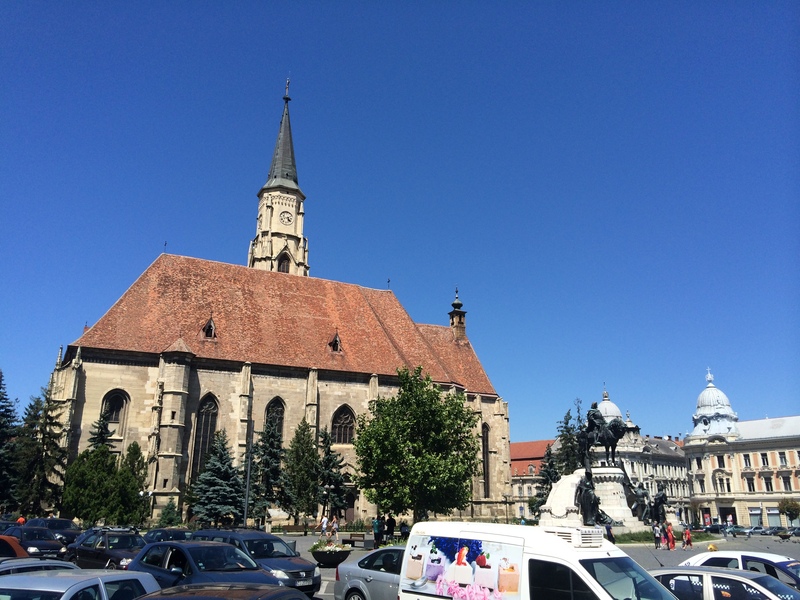 Before heading to Maramures, we still spent a little time in Cluj Napoca, particularly visiting the old city center. 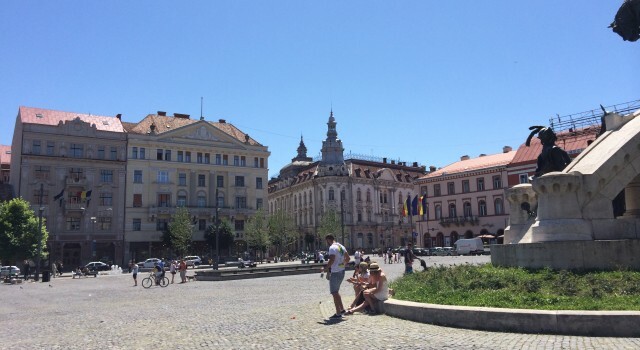 Cluj Napoca is one of Romania’s most prosperous cities known for being the countries university city and youthful nightlife. It is also the second largest city after Bucharest. 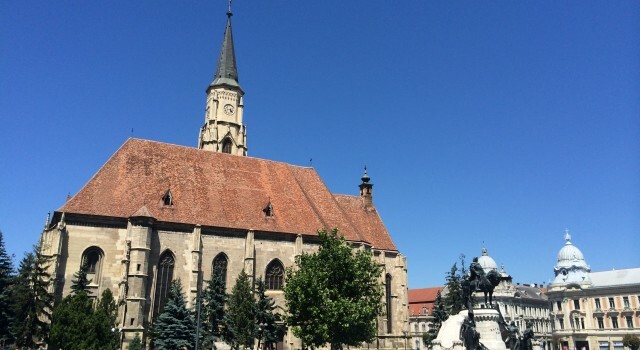 Cluj Napoca is also considered to be the unofficial capital of Transylvania. There are numerous sites that can be seen like the Banffy Castle, The Matthias Corvinus monument, Dormition of the Theotokos Cathedral, the entire Unirii Square, the Botanical Garden and of course St Michael’s Church. 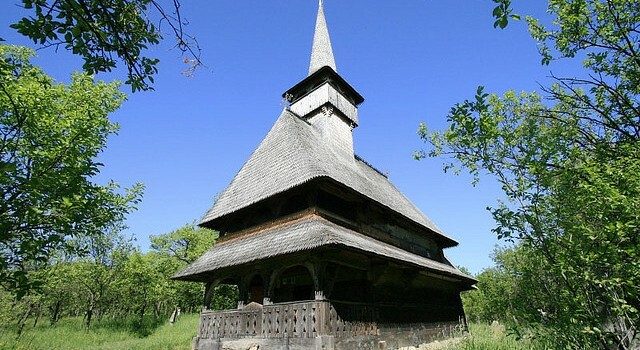 Of course, since I’m an adventurous and fun loving individual who is an ardent fan of traveling and discovering new places, we started our trip by visiting three out of eight wooden churches of Maramures since we didn’t had much time to visit the rest of them because of the distance and other facts. We also visited the wooden church complex of Barsana. 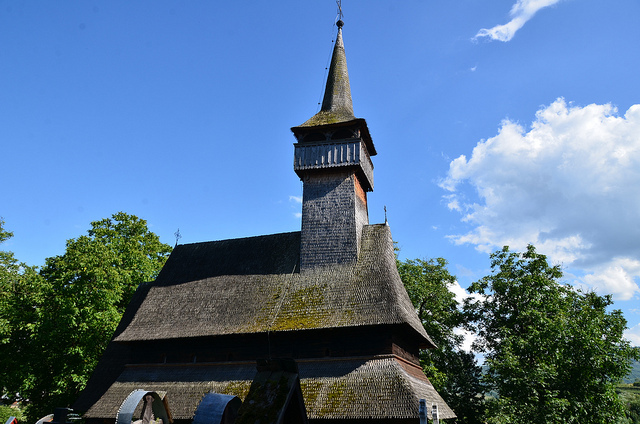 An example of a typical wooden church of Maramures, it has a slender bell tower. The flat roof is slowly lowered over the sanctuary. The interior paintings and decoration were made in 1811 by a village native called Stefan. It has also some sculpted decor outside. The view from the church is outstanding. 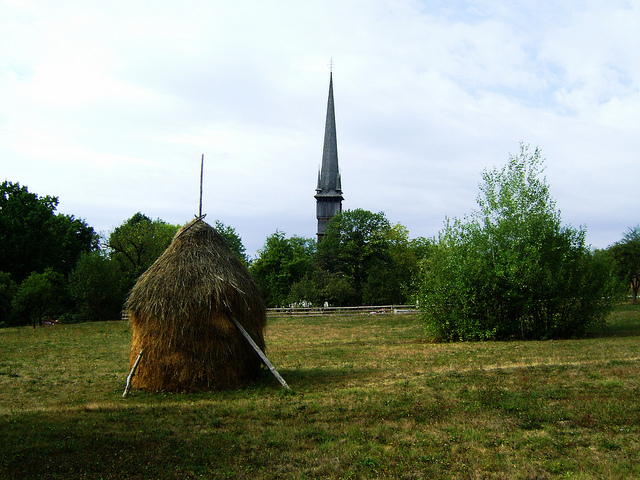 This church is one of the oldest, being constructed in 1643. 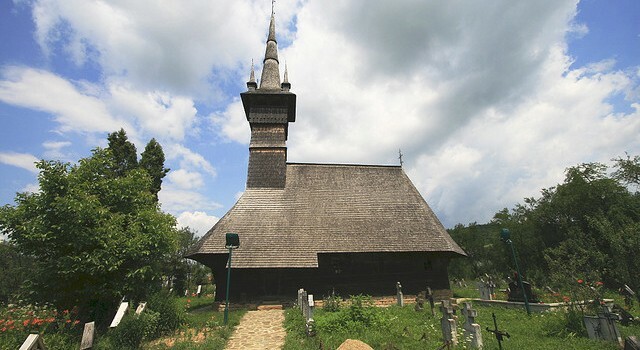 Like the other wooden churches, the interior is exceptionally beautiful with impressive religious paintings and murals. 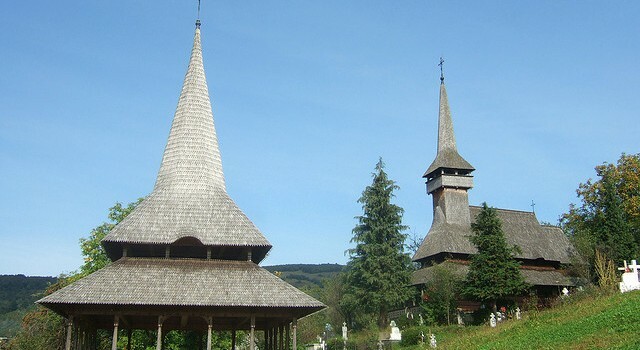 The wooden church of Budesti is unique because of its four pinnacles at the base of its spire. 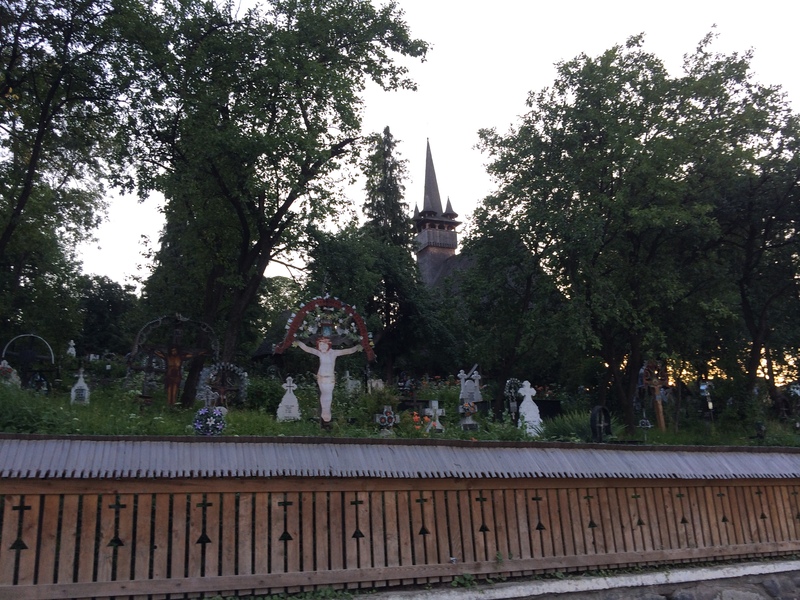 The cemetery is itself ironically is colorful and pleasant because of its green surroundings. 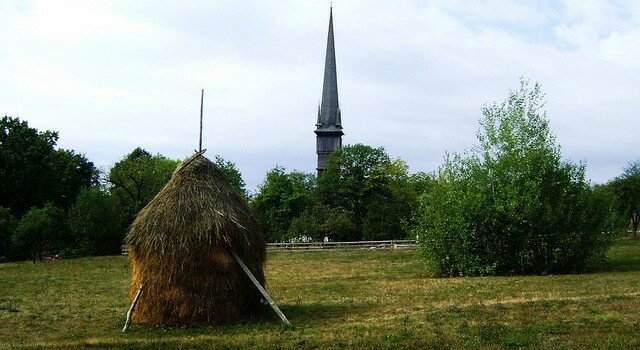 It is one of the oldest churches of the wooden churches, being built in 1604 that replaced a 15th century place of worship. It is also said that it has the most beautiful paintings that were established in the 18th century. 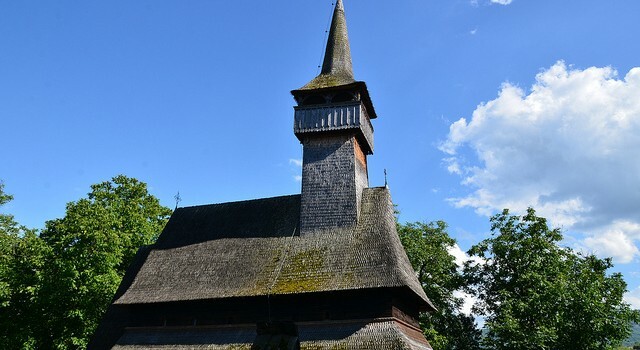 This church was built in 1663 and also it has the largest asymmetrical roof out of all the wooden churches of the region. The decorative sculpture is also well impressive. This church was built in the early 17th century and is situated on a hill close to the village. While mostly it features all the characteristics of all the churches, it still still has its own distinguished parts. 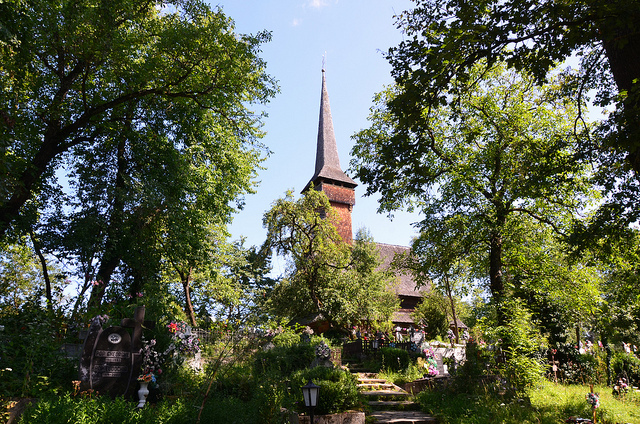 This church was established in 1770 and is known for having one of the most beautiful surroundings of all the eight churches. 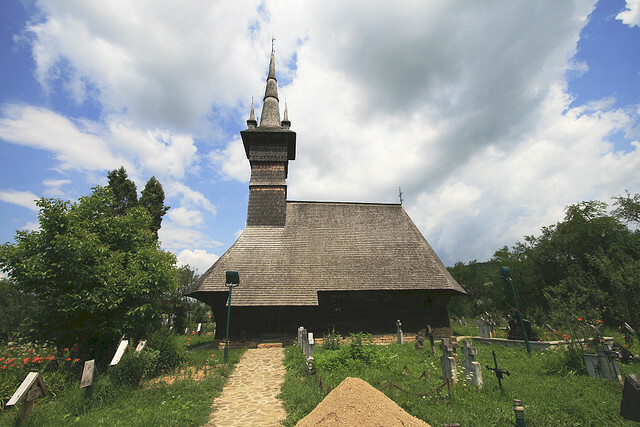 It also lies at the village of Desesti and is known also for having a colorful cemetery. Locals say that this site is the most diverse and beautiful. Barsana has more churches and even has a monastery complex with a breathtaking view of the Maramuresean mountains. 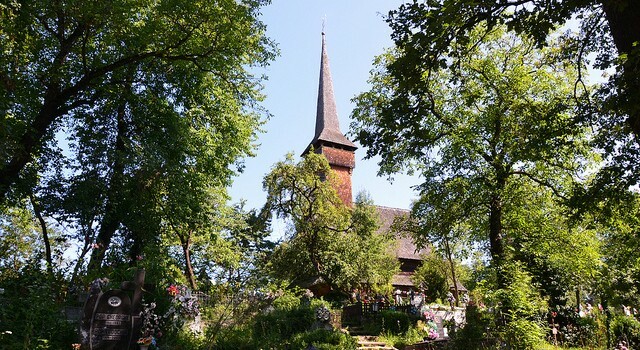 It is the most unique church, as it has a two level portico that is connected with a staircase. It was built in 1720 but by 1806 it has become a parish church. Surdesti. 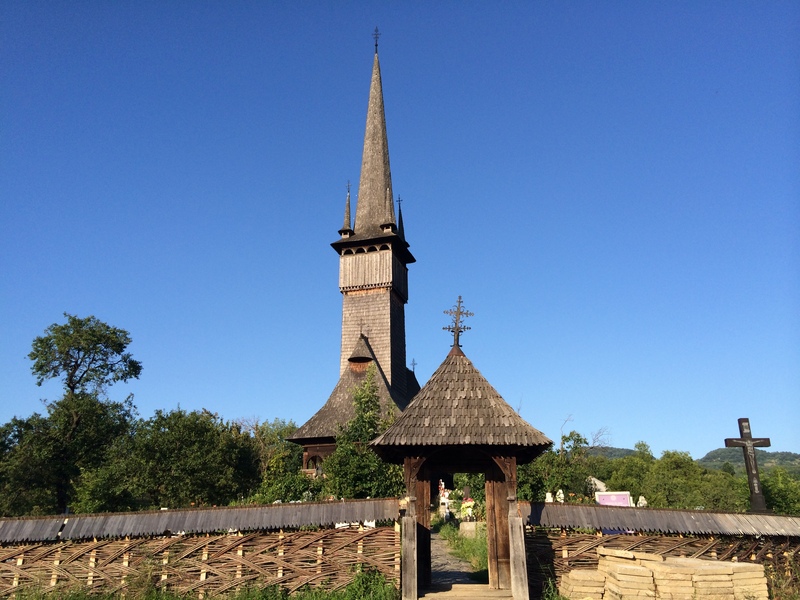 This was actually the very first wooden church that I’ve seen when I arrived in Maramures. The wooden church had one of the most beautiful paintings out of all the churches. 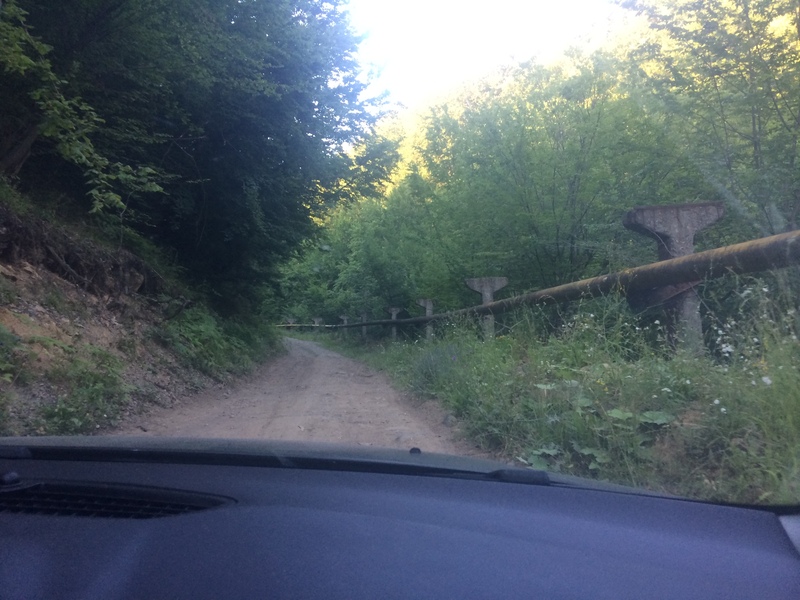 The surroundings were beautiful, although we faced difficulty reaching this and in fact every church due to the conditions of the roads. Nevertheless, the place was very impressive to me and I enjoyed it. After we visited the churches. 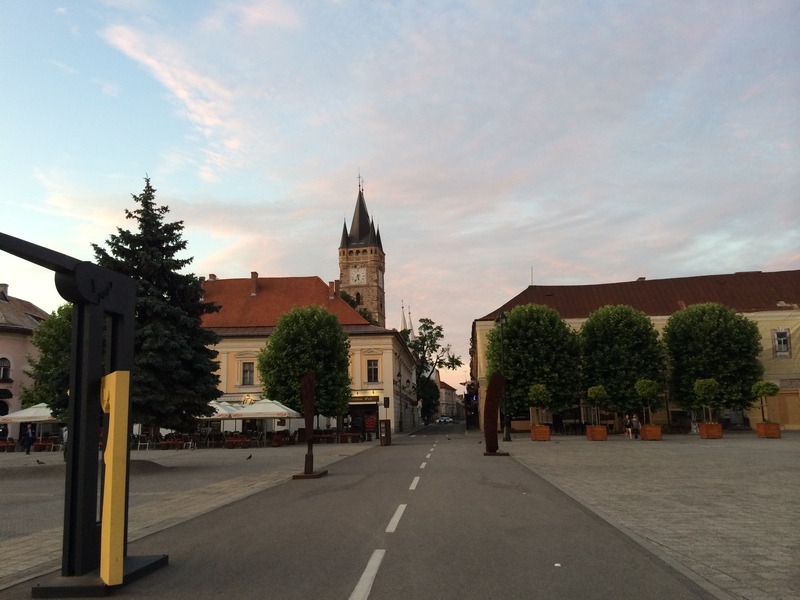 We want back to Baia Mare. The old center is worth a visit. It has a number of churches, each of them having different religious denominations, particularly Christian like Orthodox, Protestant and Roman Catholic. The center has also beautiful houses. The city is surrounded by mountains, and therefore you can see from every part of the town mountains that corners Baia Mare. 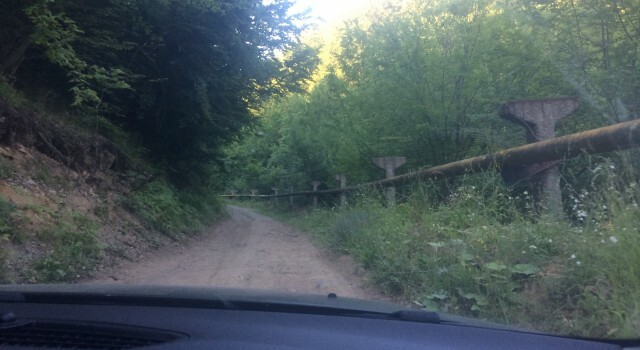 Maramures for me was a great experience, even though it was very tiring and unfortunately we suffered fatigue and little time to stay there. 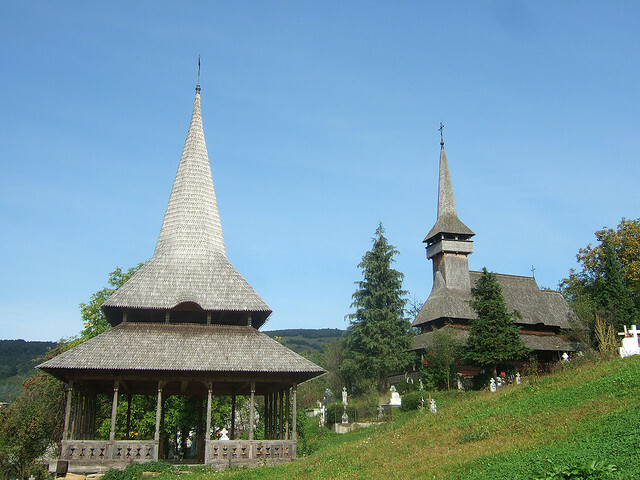 I recommend the place for every traveler that visits Romania, as it offers great examples of traditions and culture of the country.